Help Documents - Version 5 Event PreferencesHow do I set up an event level waitlist? 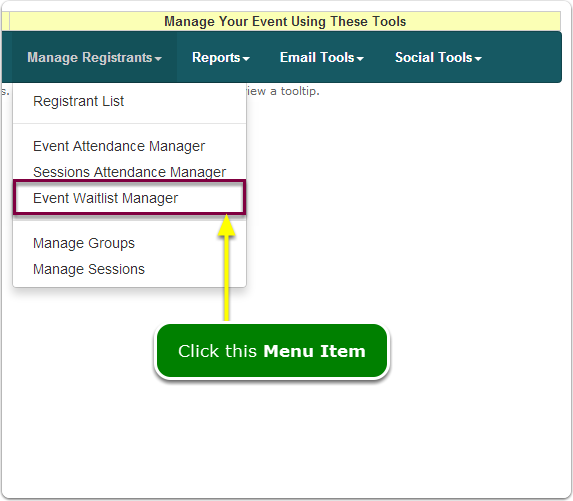 You can only set up an event level waitlist if you set the maximum number of registrants at the event level. To start, see this article: How do I set the maximum number of registrants allowed? The waitlist screen will capture enough information so that you can send an invitation to those on the waitlist, announcing space is available for them. What does the Event Level Waitlist capture screen look like? When your registrant count equals your event's maximum number, the waitlist screen displays instead of the registration page. How do I process waitlisted registrants? As registrants cancel, leaving unoccupied seats at your event, you can manually send invitations to those on the event waitlist. This is a manual process because you may want to pick and choose who you allow to register. 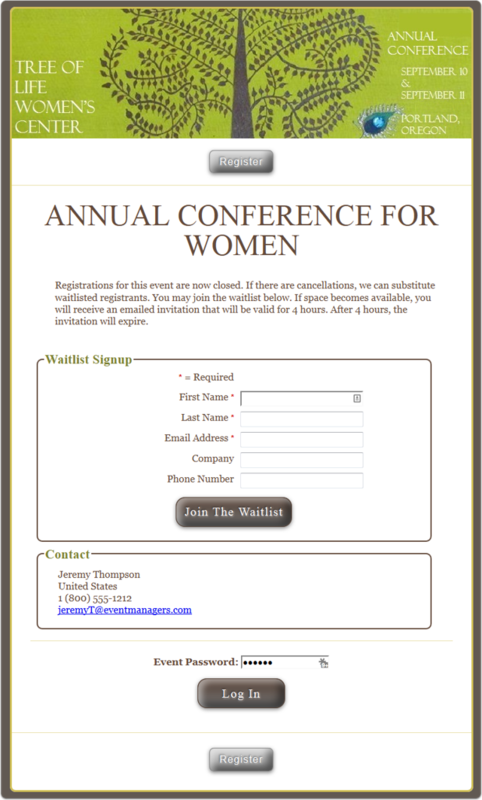 Waitlisted registrants will have a finite amount of time to respond to your invitation. After the invitation duration expires, they will not be able to register, unless you send another invitation. Use this screen to send invitations. If you want to change this invitation's duration, see this article: How do I set the maximum number of registrants allowed? Zoom: How do I process waitlisted registrants? Can I customize the invitation message? 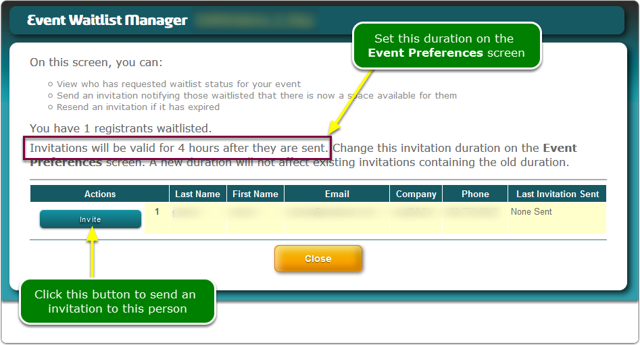 Yes, do so here: How do I customize the Event Waitlist Invitation? Prev: How do I set the maximum number of registrants allowed?